While I am starting my second round of Whole30, I needed to try some new recipes. I am always looking for food that is easy to warm up and freeze. 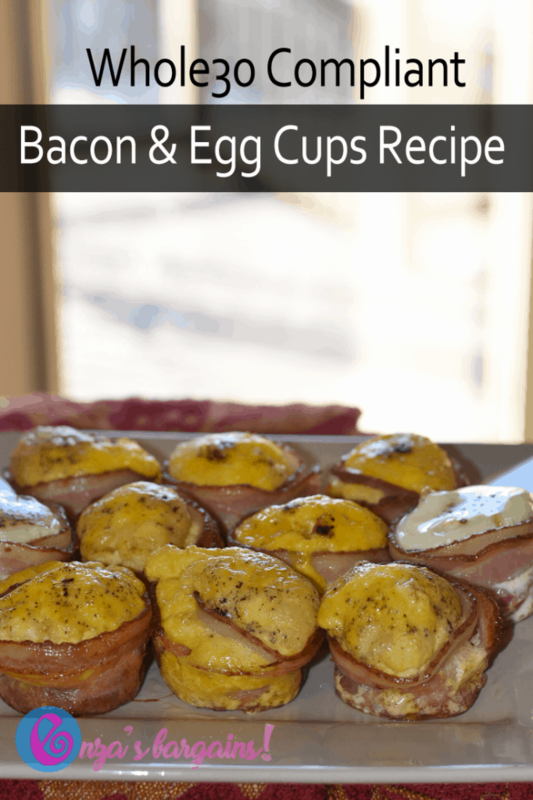 These Whole30 Bacon & Egg Cups Recipe were inspired by Prosciutto Cups from PretendItsADonut.com. My family loves what I did and I actually tried a couple of variations before sharing the best recipe I can come up with! 1. Grease your cupcake tin with EVO. 2. 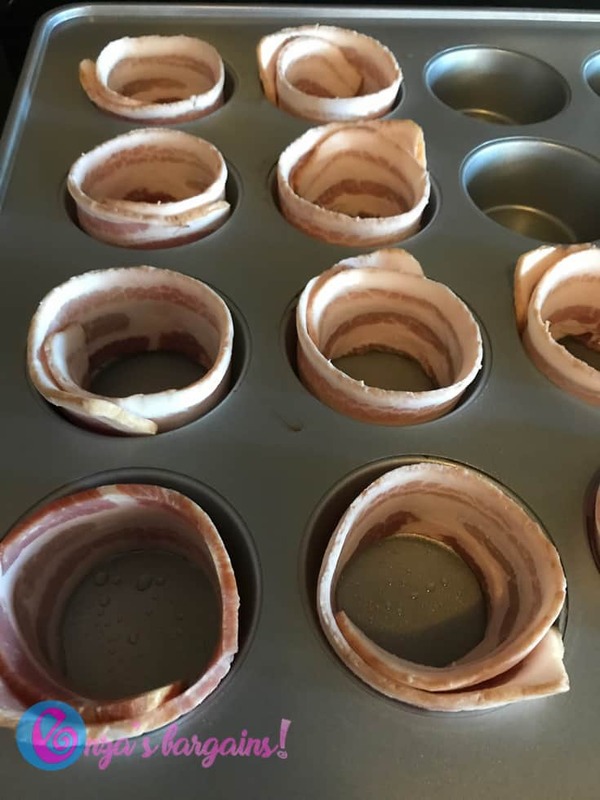 Take each bacon and place it around the edge inside each cupcake hole in the pan. Optional: You can choose to microwave the bacon for 30 seconds prior to making these cups, but I honestly though there was more bacon flavor in the cups when I didn’t do this. I tried to microwave them to see if the bacon would be any darker in color but that is only because I am use to bacon with tons of added sugar. 3. Scramble inside of a bowl one egg at a time adding salt, pepper, and a bit of crushed pepper for taste and pouring it in the middle of each cupcake hole on the pan. It is NOT that good without scrambling it in my opinion. Maybe if I were to left it a bit runny it would have tasted better. 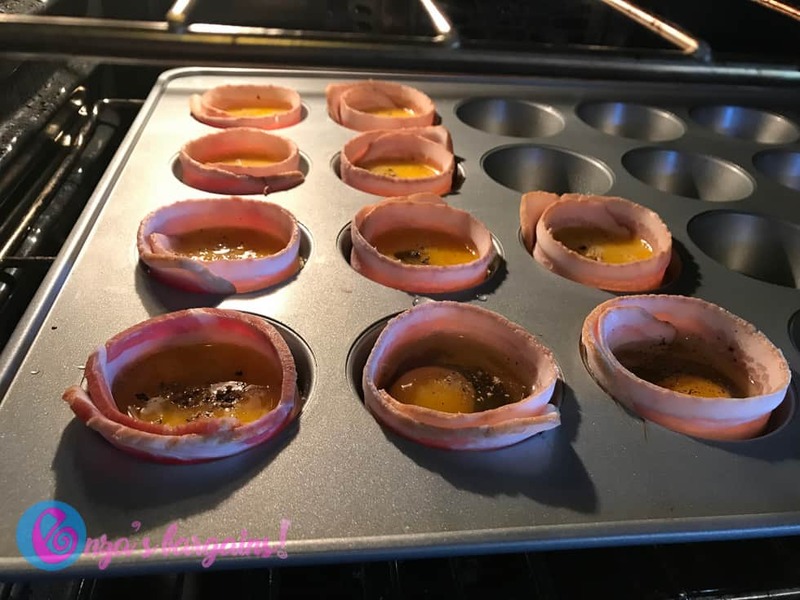 Your Whole30 Bacon & Egg Cups should easily come out of each tin. 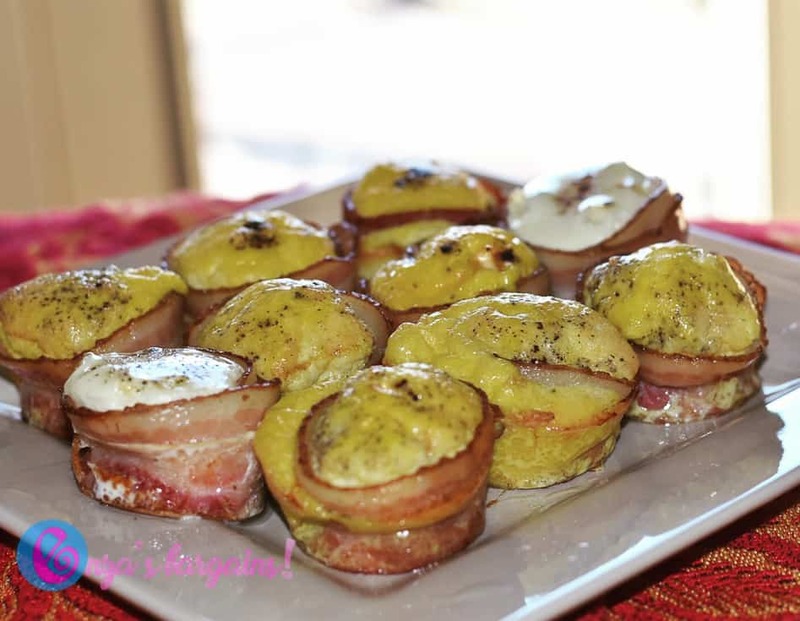 They are perfect for super easy and yummy breakfasts, great to serve at brunches, and also are best if warmed up within a couple of days. These CAN freeze but are much more better if eaten fresh!